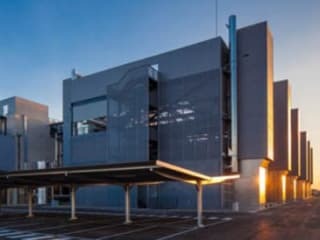 Telefonica Alcala Spain Data Center is located at Alcala de Henares, Spain. The data center is 265000 sqft. There is a total of 100000 sqft in raised floor space for colocation. It has access to 15 MW of power. We found 10 data center locations within 50 miles of this facility. No certifications are specified for this location. Alcala (Spain) is one of the biggest data processing centers in the world. Combined with the five other Telefonica Data Centers, they meet the demand for services, with full capacity guaranteed by our endorsements: A reliability of 99.995 % per month (less than 30 minutes off a year), Gold TIER IV certification, awarded by the Uptime Institute, the Global Data Centers authority that ensures the reliability and availability of global data, a room in the Innovation centre for tours and demos visits of our products. Tier IV, Leeds Gold. Guaranteed availability - 99.995 % per annum. This means that for a whole year the only period of activity that is not guaranteed is 26 minutes. A step below is the TIER III certification, with assured availability of 99.982 % (95 minutes uninsured per annum). Refrigeration through the raised floor - throughout the rooms within the Data Center, the wiring is installed to promote the flow of recycled air, keeping the air cool despite the heat from equipment, at a monitored temperature between 18 and 24ÂºC. Energy efficiency - measured as the ratio between energy input and energy used in IT rooms, with the optimal ratio being 1. In a TIER IV Data Centre, the ratio is between 1.2 and 1.4. In the AlcalÃ¡ Data Center the ratio is between 1.2 and 1.3. Scalability - since the conception of the Data Center, it has been essential that it can expand its power capacity in a modular way, without requiring an overhaul that may require stopping activity. The AlcalÃ¡ Data Center is built "like LEGO" according to its creators. It's easy and fast to add new electrical boxes. Redundancy - this is a very important factor, and depends largely on the security of data and activity of equipment. All rooms have double the power supply and remain active independently. The required total power is calculated and doubles with a small margin to ensure that the supply will never be a problem. Data access networks are also duplicated, and operation is guaranteed with 99.995 % annual availability. The physical and climatic conditions in Spain make it a little easier to reach this level because it is not a country where earthquakes and hurricanes are common, for example.